I need to seed a book in a place. In my mind I plant the idea of the book in one very specific patch of ground and hope it will grow from there. Until I know where that patch of ground is, I'm lost and the story, the book, that I'm trying to write does not come into focus. I can’t grasp it. I have no traction on a story until I have a place. In my novel The Law of Dreams, which is a story of the Irish Famine, I had to wrestle with the book for quite a while before I came across the place where it could be seeded. That was--guess where?--in Ireland, on a damp mountainside, in Co. Clare. A man who knew every inch of that ground as a naturalist, as a historian, and as an Irishman, was my guide that day. I’d been in Ireland many times before. I knew the country pretty well, and I wasn’t naïve about it. Ireland has always interested me as a real place, not a mystic wonderland. I feel connected there because I often see people who look like they could be my relatives; on the other hand being in Ireland always makes me very aware of being very Canadian, not Irish. So. We were tramping up and down that beautiful, quite barren piece of Connacht on a damp morning in November. I was fighting a flu which had nailed me the day after arriving in Dublin, from Los Angeles. In Co. Galway, I was trying to convince myself I was feeling better, but I wasn't. Not really. It was raining and chilly and I was starting to wonder if I could be getting pneumonia. Tramping up and down Irish mountains in November rain: maybe I ought to have stayed in my hotel room in Dublin, if not in Los Angeles. It was soft rain---‘a fine soft day’, as they say--but I was cold, and getting near delusional. We came to the wrecked remains of what had been a hamlet, a collection of 'cabins', where mountainy people once lived. Probably in the 19th century. Native Irish people, probably Irish-speaking, informal "conacre" tenants of whoever the long-ago landowner had been. They would have been growing potatoes on land that was more vertical than horizontal. Looking up the mountainside I could see long, grassy 'corduroy' ridges of what had been their potato gardens. Those people would have worked a few weeks or months every year, following cattle for the landlord, or working in his cultivated fields at harvest. But most of their days would have been spent up there on the mountain, growing potatoes, cutting peat for fuel, in shoulder bogs. Nothing much was left of the cabins, beyond a few stones. My guide pointed out other stones that marked a graveyard where unbaptized babies would have been buried. Through my fog of fever I immediately knew that this was my place. This was the wet, green ground where the seed of what became my novel was planted. Everything in the story that became The Law of Dreams comes out of those stones, those mountains, that wet morning, and so probably out of my flu sickness and semi-delusional state as well. The O'Briens comes out of another place: my grandfather's house in Westmount, Quebec. The light inside and outside that house, on certain days, at specific times of the year. Thick grey-green light on rainy days in late summer when the maples are still in full, fat leaf on the slope of Westmount Mountain and even afternoon sunlight has a hard time pushing through. Cold, brute light of snow and winter nights. The dim light in an upstairs study, even on bright summer days at teatime; clear light pouring through tall, leaded windows in a drawing room downstairs. Electric lamplight striking the dark on humid summer nights after we'd just come back from getting our ice cream cones at Elmhurst Dairy. And scent is as important to sense of place, and story, as the specific quality of light. The scent of certain soaps and bath-salts brings me right back into that house; scent of cigarette smoke, and leather furniture. Maybe I wrote that novel to try to bring myself back inside that house and meet those people. Maybe all I wanted was to be around them again and try to see them in another perspective than from a child's point-of-view, which is the only way that I had ever known or seen them. The O'Briens has a broad geography. It’s dynamic. It’s about thrust and change and making a world. A lot of the story takes place aboard trains, or alongside train tracks. The book is attached to many different North American zones, all of them places I think I know pretty well: Venice Beach and Santa Barbara and the Ojai Valley in Califronia; rural western Quebec; a milltown in New Hampshire; New York City. The coast of Maine. But Montreal is the center of the book's gyroscope, a Montreal that existed before I was born. And the house that Joe O’Brien builds on “Skye Avenue” in the Montreal garden suburb of Westmount is really the heart of the novel’s fictional Montreal. 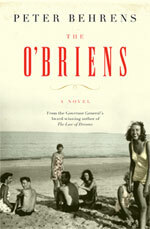 Sometimes I believe that I wrote The O’Briens just to get myself as near to that place as I could. 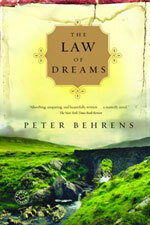 In addition to his latest novel The O'Briens, Peter Behrens is the author of the Governor General's Literary Award-winning novel The Law of Dreams,published around the world to wide acclaim, and a collection of short stories, Night Driving. 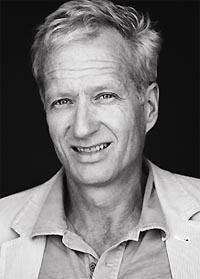 His short stories and essays have appeared in Atlantic Monthly, Tin House, Saturday Night, and the National Post. He was born in Montreal and lives on the coast of Maine with his wife and son.